That night, Emily decided to check out Tía Elena’s story. Sure enough, her smartphone delivered the answer: her tía hadn’t made it up! Hey, this Understanding the Guatemalan Patient looks pretty cool! Maybe I could get it for Tía Elena’s birthday. She’d like it. And it would even be small enough to fit in her huge-but-almost-full purse! Emily added the book to her Amazon cart and proceeded to checkout. Looking for a gift for a medical interpreter or a language lover? Full of interesting words and folk medicine/cultural tidbits, Understanding the Guatemalan Patient is sure to bring hours of education and fun. Check it out today! 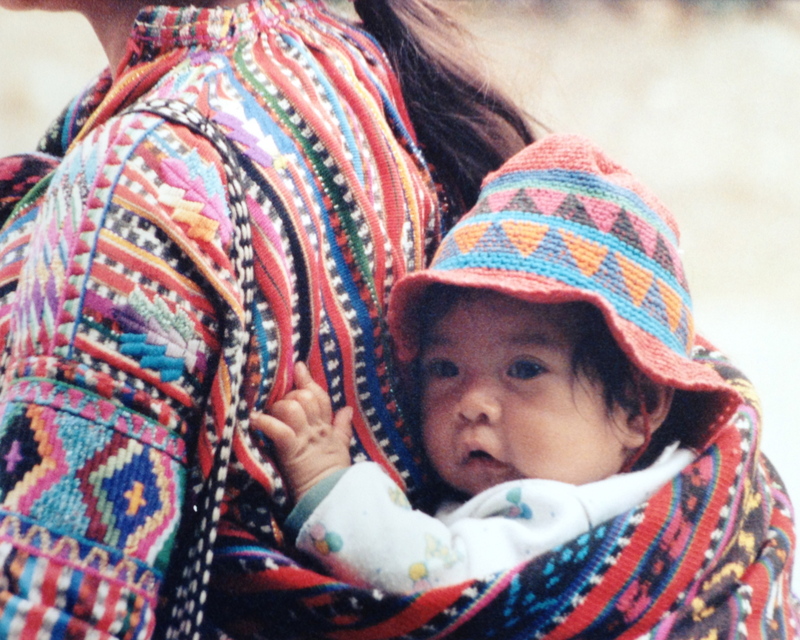 This entry was posted in Guatemala, Word of the Week and tagged babies, bilingual, cachetes, cheeks in Spanish, community healthcare in Latin America, folk traditions, fun words, Guatemala, Guatemalan sayings, Spanish medical interpreters, Spanish-English medical interpreting on June 2, 2015 by stevenhammermd. Summer – at long last! You’ve been so ready to be done with your thick textbooks and exams, and you finally are…at least for a few glorious months. Right now you’re daydreaming about your upcoming trip to Guatemala. You can’t wait to go back. In fact, you’re going through medical school so that you can serve Latin Americans with your hard-won skills. You start doodling out a packing list. After all, you learned some things on your trip last year. Might as well benefit from them! It was the second day of your first medical mission trip to Guatemala. You were seeing patients under the supervision of an MD with a Spanish interpreter nearby. Your little patient looked to be about five and was having a hard time of it. The interpreter was talking through the symptoms with the mother when a funny word caught your ears. The mom, who was clearly of Mayan descent, was saying something about “zope“. Since your aunt is a Spanish interpreter Spanish is woven into your life pretty well. But “zope”? Doesn’t that mean “vulture”? That’s when you remembered that your aunt gave you that book that’s supposed to deal with slang expressions. You pluck it out of your pocket and flip to the “z” words. Yep, there it is: zope. “So he’s been vomiting?” you ask. “Maybe I can get some to you,” you say with a smile. Yeah, that was a fun memory. Your Spanish is a lot better this year, but you’re definitely taking this book along again. In fact, maybe you’ll get a couple of extras. Why not check it out on Amazon? Your other team members should have them as a recuerdo if nothing else. This entry was posted in Word of the Week and tagged community healthcare in Latin America, Guatemala, Guatemalan healthcare, Guatemalan sayings, medical mission trip, medical missions in Guatemala, Spanish interpreter, Spanish medical interpreters, Spanish-English medical interpreting, vomit in Spanish, vulture in Spanish, zope on May 11, 2015 by stevenhammermd. You’ve dreamed of this day. You’ve studied and saved for this day. Now here it is: your first day seeing patients with a medical mission team in Guatemala. The still-cool morning breezes waft through the metal screens over the windows of the concrete building. You smile at your first patient, a man from the campo who looks like he has labored long throughout his life, and begin a conversation. Since you’ve studied Spanish for several years now, your team decided you don’t need one of the in-demand interpreters as much as other team members, so you’re on your own for this conversation. Shouldn’t be hard, right? Your optimistic thoughts screech to a halt. Canilla? You’ve never heard that word! So much for those years of studying. The way he set his worn hand on his leg makes you think there’s some connection, but you want to know…and you don’t want your ignorance to make him feel uncomfortable. You calmly look around. No interpreters nearby. Then you remember that little blue book your dad gave you when he dropped you off at the airport. “Might come in handy,” he said. You pull it out of the bag on the table next to you. It’s a glossary. Where are the “c” words? Oh, yay, there it is! Oh, good! Now you can continue with your consultation. Ah, now you understand even better. And maybe tonight you’ll look through more of those words from that Understanding the Guatemalan Patient. It seems like it really might come in handy. Gearing up for a medical mission trip to Guatemala or know someone who is? Maybe you’ll want your own copy of Understanding the Guatemalan Patient. Check it out on Amazon today! This entry was posted in Word of the Week and tagged canilla, community healthcare in Latin America, Guatemala, Guatemalan sayings, indigenous, Latin American healthcare, leg in Spanish, medical mission team, medical Spanish, slang, Spanish as a second language, Spanish-English medical interpreting, speaking like a local, translators, understanding Mayan speakers on March 23, 2015 by stevenhammermd. “Me duele la tapita,” your patient says, gingerly touching her knee, to the interpreter next to you. “Her kneecap hurts,” the interpreter informs you. Before the interpreter leaves, you get to ask her. “Yes, according to your regular Spanish-English medical dictionary rótula is actually the word for kneecap, but I have this.” She pulls a blue, pocket-sized book from her purse. This entry was posted in Word of the Week and tagged community healthcare in Latin America, folk medicine, Guatemala, Guatemalan healthcare, Guatemalan sayings, kneecap, kneecap in Spanish, Latin American healthcare, medical Spanish, rótula, slang, Spanish-English medical interpreting, speaking like a local, tapita, unique word, Word of the Week on March 16, 2015 by stevenhammermd. As you chat with your Hispanic patient, he tells you that his “coco” hurts. You know he doesn’t mean chocolate, and you’re quite sure he doesn’t really mean “coconut”…In fact, you are nearly positive he means his “head” hurts and can get right to the heart of that matter. After all, you read about it in the English-Spanish section of Understanding the Guatemalan Patient last night. The best part? Your patient feels like you really can communicate together. This entry was posted in Uncategorized and tagged ayote, ñola, chirimoya, coco, community healthcare in Latin America, Guatemala, Guatemalan healthcare, Guatemalan sayings, how to say head in Spanish, Latin American healthcare, maceta, medical Spanish, morra, sesera, shola, slang, Spanish, Spanish-English medical interpreting, speaking like a local, Word of the Week on February 23, 2015 by stevenhammermd. calf (of the leg) n.
This entry was posted in Word of the Week and tagged calf, calf (of the leg), camote, community healthcare in Latin America, Guatemala, Guatemalan healthcare, Guatemalan sayings, indigenous, Latin American healthcare, medical Spanish, pantorrilla, posta, Spanish, Spanish as a second language, Spanish medical terminology, Spanish-English medical interpreting, speaking like a local, Word of the Week on January 19, 2015 by stevenhammermd.